TechDocs has established relationships with data storage companies that meet our exceptional standards of transparency, integrity and quality of service. We are excited to be able to make this outstanding offer to you! 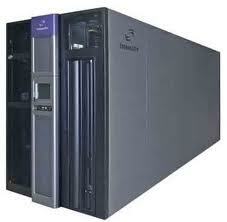 Data storage is a valuable component in business operation. If you’re backing up on disks or to a hard drive, regardless, there is always the possibility of theft or fire that could destroy your data. TechDocs is pleased to offer you a cloud based solution that protects your valuable data at an extremely reasonable price. This service will enable you to organize your data files and important papers as well as offering a secure venue by which to document your data and have a secure backup OFF SITE. In this day and age, this type of data security is critical. This plan offers you 2GB of additional space by using TechDocs services to assist you in converting your valuable written material into books, magazines, and more. TechDocs cares about you, our customer, and wants to provide the most exceptional and state of the art service available in keeping your data protected and always available for your use. In addition, to outsourcing your writing to professionals, you now get to organize your papers and current affairs and have everything backed-up by professionals.